KATE MORTON was born in South Australia, grew up in the mountains of south-east Queensland and now lives with her family in London and Australia. She has degrees in dramatic art and English literature, and harboured dreams of joining the Royal Shakespeare Company until she realised that it was words she loved more than performing. Kate still feels a pang of longing each time she goes to the theatre and the house lights dim. "I fell deeply in love with books as a child and believe that reading is freedom; that to read is to live a thousand lives in one; that fiction is a magical conversation between two people - you and me - in which our minds meet across time and space. I love books that conjure a world around me, bringing their characters and settings to life, so that the real world disappears and all that matters, from beginning to end, is turning one more page." Kate Morton's five novels - The House at Riverton, The Forgotten Garden, The Distant Hours, The Secret Keeper and The Lake House - have all been New York Times bestsellers, Sunday Times bestsellers and international number 1 bestsellers; they are published in 34 languages, across 42 countries. 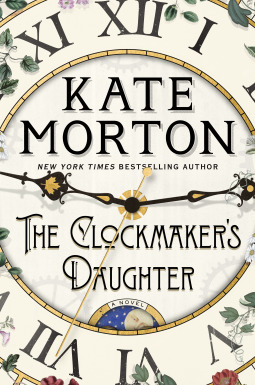 Kate's sixth novel, The Clockmaker's Daughter, will be published in September/October 2018. You can find more information about Kate Morton and her books at http://www.katemorton.com or http://www.facebook.com/KateMortonAuthor or follow at instagram.com/katemortonauthor/.